A sneak preview of the photos you’ll soon see from Linus’s weekend adventure. 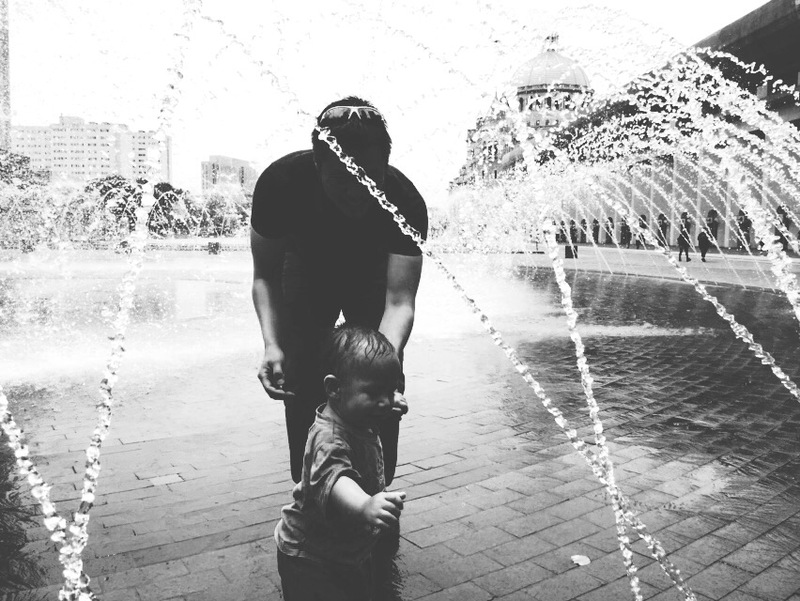 He discovered the fountain in front of the Christian Science church, and couldn’t get enough! Photo credit to our friend Neel. Don’t worry – the ones I’ll post later this week are in bright color so you can see the total look of glee on his face.